Micro-Trak Systems is an aggressive, young company, investing substantial resources internally for continued research and development. Since our beginning in 1982, we’ve consistently pushed beyond conventional thinking to develop better, more economical monitoring and control equipment for farming, custom application and grounds maintenance. “Precision Farming” is a current buzz word among agricultural circles. It means carefully tailoring soil and crop management to fit the different conditions found in each field. The real value for the farmer is that he can adjust seeding rates, plan more accurate crop protection programs, perform more timely tillage and know the yield variation within a field. These benefits will enhance the overall cost-effectiveness of his crop production. Rapid changes in precision technology and agriculture are creating new product and market growth, resulting in exciting opportunities for employment with the Micro-Trak team. The culturally-rich Mankato area features an impressive selection of universities, colleges, and schools, as well as remarkable recreational and entertainment choices. 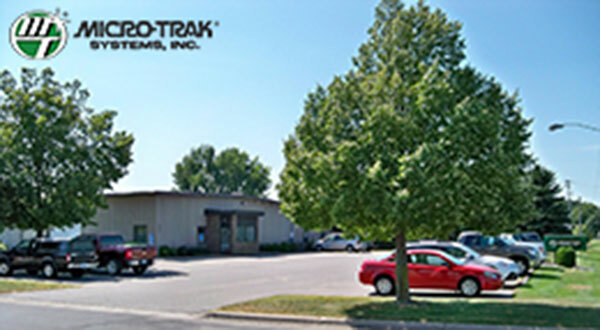 Micro-Trak is based in Eagle Lake, MN – situated just minutes from Mankato, and easily accessed from U.S. Route 14. Our 27,500 sq. ft. building houses our state-of-the-art lean manufacturing area, corporate offices, and warehouse space. Our emphasis on quality is seen in our extensive in-house product testing capabilities including: environmental, life-cycle, pressure, vibration, and electro-magnetic compatibility testing. In addition, we have a wide variety of equipment simulating real-world applications to ensure the highest levels of product reliability and durability. The rich tradition of Southern Minnesota agriculture continues to produce some of the finest crops in the upper Midwest.